Key management is an essential functionality for developing secure cryptosystems; particularly for implementations to low cost devices of a distributed sensor networks (DSN)–a prototype of Internet of Things (IoT). Low cost leads to constraints in various resources of constituent devices of a IoT (sensors of a DSN); thereby restricting implementations of computationally heavy public key cryptosystems. This leads to adaptation of the novel key predistribution trick in symmetric key platform to efficiently tackle the problem of key management for these resource starved networks. After a few initial proposals based on random graphs, most key predistribution schemes (KPS) use deterministic (combinatorial) approaches to assure essential design properties. Combinatorial designs like a (v;b; r;k)􀀀configuration which forms a μ(v;b; r;k)􀀀CID are effective schemes to design KPS (Lee and Stinson, 2005). A net in a vector space is a set of cosets of certain kind of subspaces called partial spread. A μ(v;b; r;k)􀀀CID can be formed from a net. In this paper, we propose a key predistribution scheme for DSN, named as sensornet, using net. Effectiveness of sensornet in term of crucial metrics in comparison to other prominent schemes has been theoretically established. This position paper proposes a discussion of the need for a solid philosophical basis for mining sensor-data based on phenomenology. Additionally it is proposed that, when considering cyber physical systems, the solution of inverse problems is a prerequisite if the results are to have physical meaning. A prototype lexical analysis tool for sensor-data is presented and its application to knowledge discovery in large mechatronic systems is demonstrated. Massive sensor data management is an important issue in large-scale sensor based systems such as the Internet/web of Things. However, existing relational database and cloud data management techniques are inadequate in handling large-scale sensor sampling data. On the one hand, relational databases can not efficiently process frequent data updates caused by sensor samplings. On the other hand, current cloud data management mechanisms are largely key-value stores so that they can not support complicated spatial-temporal computation involved in sensor data query. To solve the above problems, we propose a Relational Data-Base and Key-Value store combined Cloud Data management (“RDB-KV CloudDB”) framework, in this paper. The experimental results show that the RDB-KV CloudDB can provide satisfactory query processing and sensor data updating performances in large scale sensor-based systems. In the simple devices used for wireless sensor networks, the costs associated with a layered approach can be significant. Small-footprint operating systems have been developed by adopting non-traditional approaches to network abstractions while still aiming to simplify software development. In these approaches, some elements of modularity are valuable to retain, e.g., packet buffer management, which can be factored out of the layers and supported by a generic interface. In this paper, we describe the PicOS operating system with its versatile network interface (VNETI) and describe our experience using it. VNETI’s approach to the problem, where it acts as a mediator between (a) the application programming interface, (b) protocol plug-ins, and (c) a physical input/output module, allows for an effective component-based design with low overheads. With our essentially layer-less approach to networking, we have found it intuitive to incorporate even the simplest devices into nontrivial networks. Wireless Sensor Networks (WSNs) are almost exclusively regarded as data gathering entities. Various sensed data elements are captured and routed back to a central server for processing, visualization and interpretation. However, it can be realistically conjectured that scenarios will increasingly emerge that demand a facility for ad-hoc interaction with individual sensor nodes. Moreover, such interaction will occur in the physical environment in close proximity to where the sensor node is physically located. In this paper, the need for in-situ ad-hoc interaction is motivated. A methodology for facilitating such interaction is presented, and the implementation of a sensor browser is described. Ubiquitously deployed wireless sensor networks provide grate conveniences for environment monitoring. However, it also brings the risk of violating privacy. Sensitive sensor data disclosed to malicious part may cause unexpected lost. In this paper, we propose a privacy-preserving in-network aggregation protocol for wireless sensor network based on the concept of data slicing, mixing and merging with a novel share key management scheme. Our protocol allows performing in-network aggregation in sensor network while keeps the privacy of participates. Although we only study additive aggregation in this paper, our protocol can be easily extended to other aggregation functions, including average, count and many other functions based on aggregation as long as these aggregation functions can be reduced to additive aggregation function. Performance evaluation yields the efficiency and effectiveness of our protocol. This paper proposes FWC- a hash-based fragile watermarking technique to protect the integrity of sensor data. Sensor data are organized into groups before calculating the hash digest and storing them in the least significant bits. 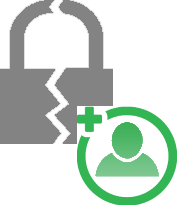 The watermark is chained across the groups to mitigate group insertion and deletion attacks. Detailed security analysis is provided for each of the proposed scheme. Experimental results prove that the proposed schemes are much faster than SGW security technique. At the same time, the proposed schemes are more robust than SGW. Sensor networks has been used in numerous fields, some of which require complex processing of large amount of data, such as visual surveillance. Low-power MCUs on sensor nodes have kilobytes of RAM which is not enough for mass data processing. In this paper, we present a transparent software-based virtual memory for mass complex data processing in sensor networks which can be much larger than the physical memory. Traditional optimizations have been employed and tuned to best suit the virtual memory. Address translations were found to be a major overhead in virtual memory for most applications. With respect to assembly conversion commonly used in other software-based virtual memory systems, we use flexible C code transformation which generates cache index buffers to greatly reduce the address translation overhead. The usability of the virtual memory is further verified by a number of common algorithms using the virtual memory. Page 1 of 29, items 1 to 10 of 287. Page 1 of 38, items 1 to 10 of 373.